Seagate is rolling out an AI platform to reduce costs and time spent on manufacturing hard drives. 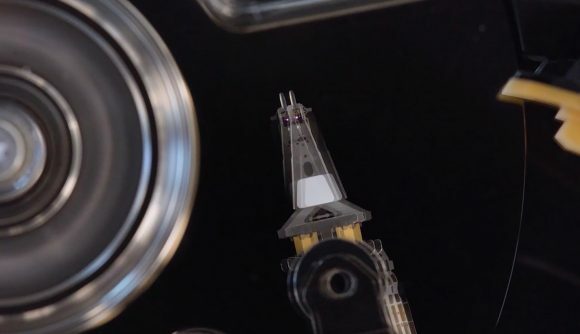 With so much of the manufacturing process kitted up with sensors already, Seagate is hoping to feed all that data into an AI system provided by Nvidia to keep HDD manufacturing alive in the age of SSDs. Most of Seagate’s HDD products are made in-house at various factories worldwide, and there are reportedly some 1,000 processes necessary in the production of spinning platters. With large amounts of data from sensors across its production line already, Seagate is planning to upload that into its cloud computing platform for analysis. Enter: Project Athena: a joint enterprise by Seagate, HPE, and Nvidia. For the record, it has nothing to do with Intel’s Project Athena. The system has already been given its first real-world test at the company’s Normandale wafer fabrication facility, DigiTimes reports. Project Athena has been collecting several million microscopic images of magnetic heads at the plant each day to for quality assurance, affording Seagate the ability to cut clean room costs by 20% and time spent manufacturing by 10%. Graphics card company – or should I say the “datacentre computing company” – Nvidia has been contracted to supply an AI up for the task of streamlining Seagate’s HDD manufacturing. Jen-Hsun Huang’s company has been pivoting towards a leading role in the growing AI and accelerated machine learning market in recent years, touting its ability to enhance research and operation in a variety of fields, including: prosthetics, robotics, astronomy, healthcare, and autonomous vehicles. In a world of solid state drives, minimising production costs for HDDs is more important than ever. These drives exist to fulfil the cost-effective, mass storage market, and with NAND flash prices on the decline, HDD manufacturers are sure to be feeling the squeeze from cheaper, high-performance flash storage. During 2017 Seagate closed one of its largest factories. But Seagate has a secret weapon to drastically increase the storage capacity of hard drives: HAMR. Its hope is this technology will make for more cost-effective drives for the world’s datacentre sector, which is growing at a rapid pace. The IDC (International Data Corporation) reports that the globe will produce 10x the amount of data produced in 2017 by the year 2025. But gamers are moving towards much speedier pastures. Even SATA solid state drives are making way for faster NVMe PCIe models – which are set to take 50% of the market by the end of 2019.